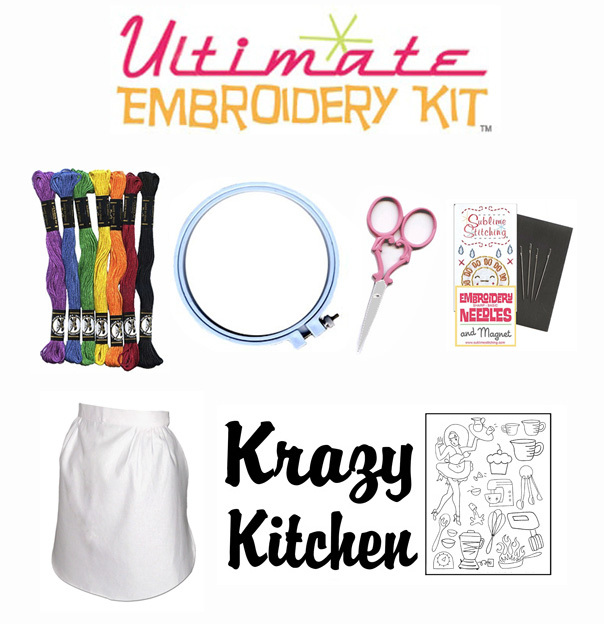 Weekend Kits Blog: Ultimate Embroidery Kit Giveaway! I have TWO favorites in the shop, the beginner quilt kit with the stars, and the sheep quilt kit. I liked you on facebook drmithome. I like the Sublime Stitching petite embroidery kit. Great gift. I like Faber Castell Creative Studio Mixed Media & Collage Kit. it is symply adorable and she would think it was perfection! I like the mbroidery Kit - Easy for Beginners - Owl Wall Art. I love the punch needle kit No Place Like Home! Awesome kits! I follow Weekend Kits on Twitter! I don't know if I can choose a favorite kit. I like to hand embroider, so any of those kits are just way too adorable. I also like the quilt kits. From there I would love to try the 'Blue and Green' lap quilt. My favorite kit is the Fabric Panel - Baby Blanket Sewing Kit - Bazoople Day! I really like the Jewelry Class in a Box! Jewelry kit--Natural Glass! Wanting to get back into beading again! I love the Cat pillow kit for kids. Too cute! Going to order for my daughter to work on this summer. Following Weekend Kits on Twitter! I love any of the Jewelry Class in a box kits! Thank you all for your comments. It's great to hear about your favorite kits - I'm definitely getting some good ideas for future giveaways! Follow you on FB now! I like the Love Me baby quilt kit. My favorite kit is "Simple Quilts - Quilt Kit for Beginners - Black & White." 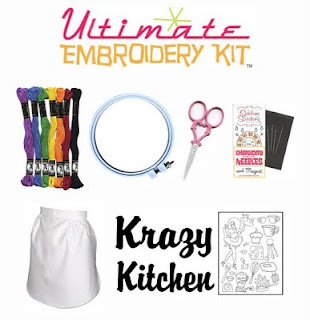 I just love your kits, they are great and easy enough for my six year old and I to do together and she's developing a love for crafting, THANKS! P.S. I did "like" you on Facebook for the contest. Thanks again! I like the Simple Quilts - Quilt Kit for Beginners - Black & White. I like the Baby Birth Record - Counted Cross Stitch Kit - Princess. It's adorable! I like the Learn ti Knit Kit and DVD. I've always wanted to learn how, and this kit makes it look very fun! My favorite kit is the Hemstitched Baby Blanket Kit - Ready to Crochet - Hot Cars. Thanks for the giveaway! I like you on facebook as Rachel Earle Edwards Martorano. I'm following on twitter as GiveawayRae. @hazelfinn follows @WeekendKits on Twitter. I like the Patchwork pups and the owl quilt kits. Facebook brought me here tonight. We have a winner! Congratulations to Five Little Crafty Birdies. Please Contact Us and we'll have your prize out to you right away. Thanks to everyone who entered. I always enjoy reading your comments and appreciate you taking the time to tell me about your favorite items. Check back for next month's Craft Kit Giveaway here on the Weekend Kits blog! My favorite is Counted Cross Stitch Kit - Birth Record - Barn Babies.